Reasons Why Tivi’s A Fail #1: I regularly buy things with the intention to blog them… and then never do. They either get saved in an outfit to blog that never is, or they get lost in the black hole that is my inventory. That said, I knew I had to put together a styling, if for no other reason than to show off the wonderful work of Pixicat. You know I barely wear shoes unless I have to, but these Gladiator boots?! LOVE! And Danity Mynx, one of my fellow MVW Misses passed me this jacket a couple weeks ago, remembering we have roughly the same taste in clothing, and she was RIGHT! I positively love it and how open it is, while still appropriately covering… places. This is also a wonderful time to mention that I have a new sponsor to add to the mix… Hush Skins! I went to the store the other day and picked up one of the newer skins. I don’t think it’s the newest release, but it was too pretty, I couldn’t pass it up. What better opportunity to showcase a different skin than this open jacket with short shorts, hmm? Anyway, I’m a derp, and really need to sort my inventory… like that will ever successfully happen! Alright. If you know me, you know I don’t do pomp and circumstance too often. I’m an agoraphobic in RL, I don’t like situations I can’t easily escape, and with my anxiety I am constantly thinking about everything that can go wrong and every situation I cannot escape from. I don’t like large crowds. I’m that person that sits in the corner of the restaurant with my back to a wall so I can see and analyze everything that’s going on. However, today I did something in SL that was entirely different for me… and I had the time of my life. Eleseren Brianna, the reigning Miss Virtual World 2015 organized, along with the wonderful staff of The Rose Theater Ballroom, a ball in honor of the 2016 MVW Misses. We got to dress up in gowns and jewels, put men into suits (or women into gowns) and drag them along, and just have fun and actually breathe and allow it to register… we are Misses. It was a large crowd. A very large crowd. I believe the sim crashed once. Individuals were crashing left and right. The lag was present and everyone was dealing with it. But between the gorgeous voice of Lisa Bruun and the DJ skills of Mex Thorn, three hours came and went rather quickly. All in all, I had so much fun. It was nice to just sort of let being here at this point in my journey truly sink in. A goal of 3 years has been realized, and it is everything I thought it would be and more. It’s pushed me, challenged me, and made me grow as a model, a stylist, and a person. I adore it, and I thoroughly look forward to the next few challenges. Basically, I had a great time, I got to look pretty, and I got to dance with someone who was pretty amazing, and listen to him sing in my ear. I’m a diva, best believe her, you see how she’s gettin’ paid? This… was fun. Though backstage I think I spent most of my time teetering back and forth between whether I nailed it, or whether I completely missed the point. Lol. I adore The Fifth Element. Though admittedly my favorite character was Leeloo, so when we were specifically told NO Leeloo stylings, I had to go back to the movie again. Even though… let’s be honest… anyone who knows me knows exactly the next character I would’ve gone to. The Diva Dance is an amazing scene, likely my favorite in the entire movie, and the Diva Plavalaguna is positively drop-dead gorgeous in her own right. (If you’ve never seen the movie, do a google image search for Diva Plavalaguna and you’ll see what I mean.) Now, I had my inspiration, and also knowing that this was Eleseren’s tribute challenge, I set to styling. This is the part where it becomes unclear to me whether I was on point, or I missed the point. LOL. I pulled the Diva Plavalaguna forward into 2015 with clear ties to Jean Paul Gaultier, who was the costume designer for the movie and is also an amazing creative genius, in my opinion. I’m a lover of the unconventional, and it’s always been my draw since I first began modeling and being a more serious stylist. But moreso than simply pulling Sci-Fi Haute Couture, Jean Paul Gaultier, and the Diva Plavalaguna forward… I also took Eleseren into consideration. After all, this WAS her tribute challenge. So all in all, my look became The Diva Plavalaguna Meets The Diva Eleseren. I was downright giddy with it, even if I was completely different than a vast majority of the other stylings. And I got to rediscover some things in my inventory that used to be favorite pieces. “Diva” is a term synonymous with both the positive and the negative in the virtual fashion world, depending on who you ask. For some, the diva is a woman (or man!) of fierceness. Someone who isn’t afraid to work it and own it, push the boundaries, break that glass ceiling. For others, the stigma of the diva has morphed into a model with a negative attitude, a sense of entitlement that they deserve to simply be handed everything. “Do you know who I am? !” No, we don’t. How can something that was once so empowering have become so negative? Today, Tivi works to bring the positive fierceness back to the Diva as she pulls the Diva Plavalaguna forward into 2015 as a tribute to one of the most positive, fiercest divas she has ever met: Eleseren Brianna. * This design has been retired and is no longer available! 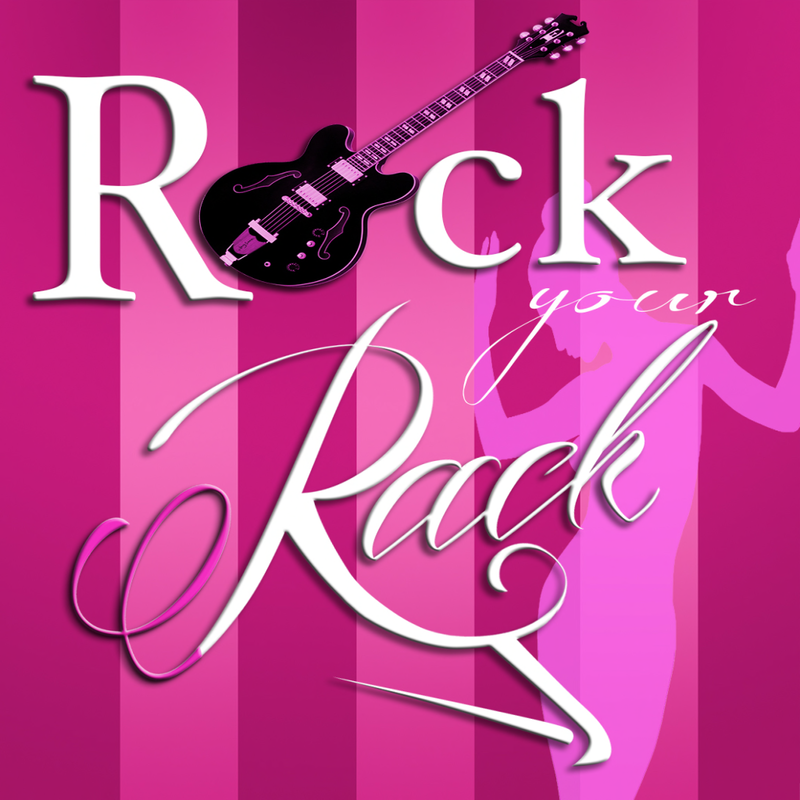 Rock Your Rack 2015 – Press Release! Cause I’ve still got a lot of fight left in me! The 2015 event is on three sims and involves 64 designers including 4 Platinum Sponsors: Ever An’ Angel, Lybra, PurpleMoon, and Sky. Along with these designers, 5 Live Musical Artists, 1 dance team and 5 DJs will provide entertainment throughout the two week long Event. Events during the fundraiser include 8 fashion shows, 6 live musical concerts, a performance by the Shadow’s Silhouette Dancers, DJ dance parties, a 10L Hunt, Silent Auction areas, and more. Designers will be providing exclusive creations with 100% of the sales of those items going to the National Breast Cancer Foundation along with a fine selection of the newest and most popular designs donating a percentage as well. This year’s event officially opens to the public on Saturday, September 26, 2015 at 12:00am SLT and will close at 11:59pm SLT on Sunday, October 11, 2015. Those who are unable to attend but wish to support the cause, may visit the Model’s Giving Back official donation page at https://fundraise.nbcf.org/mgb2015 where donations can be made directly using a variety of means. For any information about Rock Your Rack, please do not hesitate to contact Models Giving Back CEO, Jamee Binder (Jamee Sandalwood). This is an event that I personally have been involved in in some way for all 3 years it’s been done, and it is quite literally the highlight of my year in modeling. It is the one event I look forward to participating in, in whatever capacity, every year. Keep a look out for more press releases and some of the wonderful fashion you will be able to find throughout the event beginning September 26th. Honestly? I just love the lyrics in this song. It’s had me giggling all last night and today. That’s really the only reason I’m blogging it. Lately traveling back and forth between the rental and the new house, I’ve heard it on the radio a lot. It’s a couple years old, but it’s one of those things I forgot exists until hearing it again. Anyway, you’re getting stuff in a bit of a reverse order today. You’ll get a press release about Rock Your Rack a little bit later today, but I couldn’t resist blogging this when I got it yesterday for one of the fashion shows to take place during the event. I just fell in love! Yesterday was quite a long day, so to get this little gem in my inventory somewhere in the middle of all of it, I was able to have something really awesome to wear to the last scheduled meeting/rehearsal for Rock Your Rack last night. Jamee and the team are working incredibly hard to bring an event that surpasses expectations set by last year’s amazing turnout. This particular outfit is one of Lavian & Co’s Autumn/Winter ’15/’16 releases for the event, and I tell you what, they NEVER disappoint me in color options. I’m such an indecisive person, and I love having tons of options to play with, and with this particular outfit… brace yourselves… the HUD gives you 36 (yes, THIRTY-SIX) different colors for the main body of the jacket, 36 colors for the sleeves, 36 colors for the pants, and 36 colors for the belt. Mix and match to your heart’s content! I was in heaven for a good few hours playing with all the different colors. Meanwhile, my partner was in his own personal hell watching me mess with them and not be able to decide what I wanted to wear. Lol. The shoes you can see in the picture below are also from Lavian & Co’s Autumn/Winter ’15/’16 line, and come with the same 36 color options to make sure you can perfectly match from head to toe. The HUD is split into two options… one with silver accents and one with gold accents, which I particular appreciate, because mixing silver and gold is such a rarity for me, it’s nice to be able to tailor these shoes to whatever metal I may be wearing that day. Today it was Silver. I don’t wear red that often… which is surprising as it’s Classis’ (Classis IS Rodric, for those that keep asking. Lol.) favorite color. But when I do wear red, because it IS his favorite color, I tend to go all out. The makeup are a few staples from my favorites, Nuuna, Madrid Solo, and Pink Fuel. I wanted something fierce but not too… busy? Busy makeup is my weakness. /I/ think it’s awesome, but then it becomes too much with everything else going on in an outfit. I’m working on that. I can always count on Maxi Gossamer for the jewelry I need for stuff like this, and she certainly didn’t disappoint. The hair is one I forgot I had, from Exile, and I’ve fallen in love all over again. I can tell you one thing. This was just one item I received for a runway show for Rock Your Rack, but as a blogger, you can guarantee if given the opportunity I will DEFINITELY be bringing you more of this fierceness from Lavian & Co. It is fast becoming one of my favorite brands all over again. You’re not my sunshine anymore? Blah. I’m trying a new photo format. Layout is not my strong suit. I’m just gonna get that out of the way now. And when you see the second picture for this, you’ll see what I mean. *Waits for people to scroll down and see it, since their curiosity was piqued* Back now? I’ve also blogged this song before. Sue me. Lol. I found it again and have been playing it on repeat ever since. Hopefully I’ll figure out the layout thing a bit more in future posts and start to be able to feature smaller details in a better way here soon. What honestly inspired me to do this when I was so vehemently against it before was the septum ring. I fell in love with it and it’s just like… from far away you can barely see it. So I gave in and started highlighting small details. It’s my first shot. So be nice. But at the same time, it began to occur to me… the people who make this stuff spend just as much time, if not more, on their creations. Just because the septum piercing is smaller than the dress does not mean that it deserves less attention. So I was torn. How do I show proper appreciation to all sorts of designers? And so I will still likely do a picture or two, like the first picture above, that are more ‘organic’… naturally in SL to portray how everything works. I won’t green screen or overly photoshop. And then in a second (or third) picture I will try this sectioning out and highlighting small details thing. I’ll figure out the best way to lay it out as I go along and try to do more of them, so bear with me while I figure it out in the beginning. If any of you are bloggers who have been doing this sectioning/highlighting for awhile and have pointers, I’d love to hear them. Anything that helps highlight all of these designers who work so hard on their wonderful designs. Blogging Tune: “Ugly Heart” – G.R.L.